Lip piercings are one of many in modern society, given their fast healing time and wide range of jewellery options. Lip piercings should always be performed by a professional body piercer, with proper tools and jewellery. 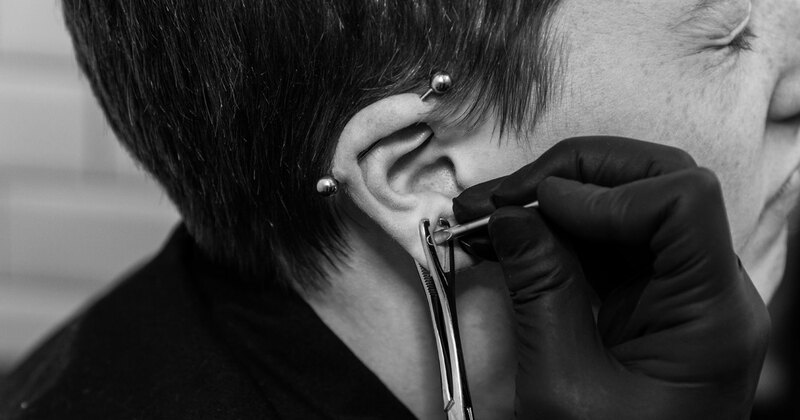 The initial jewellery for a lip piercing is ideally a specially designed stud with a flat back for the inside and a threaded end with a plain ball for the outside, as well as having several millimetres of extra length to compensate for any initial swelling. 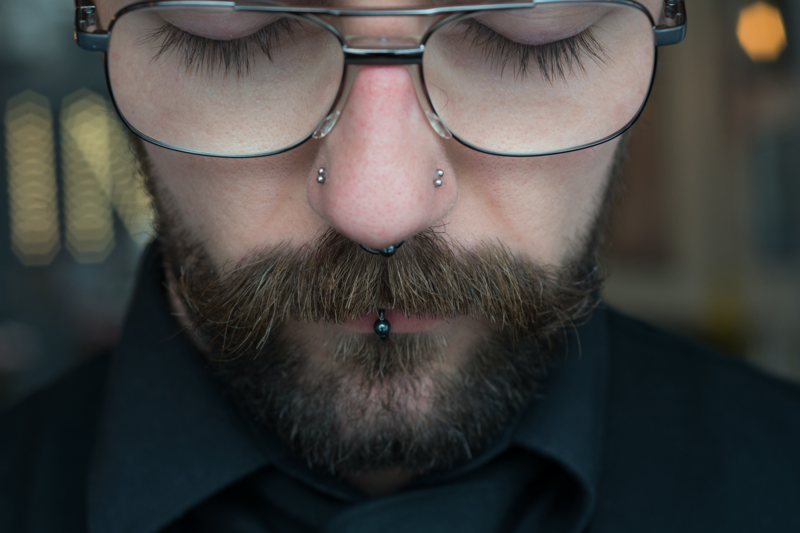 This piercing can be performed on any part of the upper or more commonly lower part of the lip (with upper lip piercing given more time as well as length for swelling). After an initial four to six weeks of healing this jewellery can be either downsized to a smaller, shorter lip stud or even to a call closure ring, seamless ring, or circular barbell, as well as other screw on alternatives for the stud such as jewel’s or spikes. 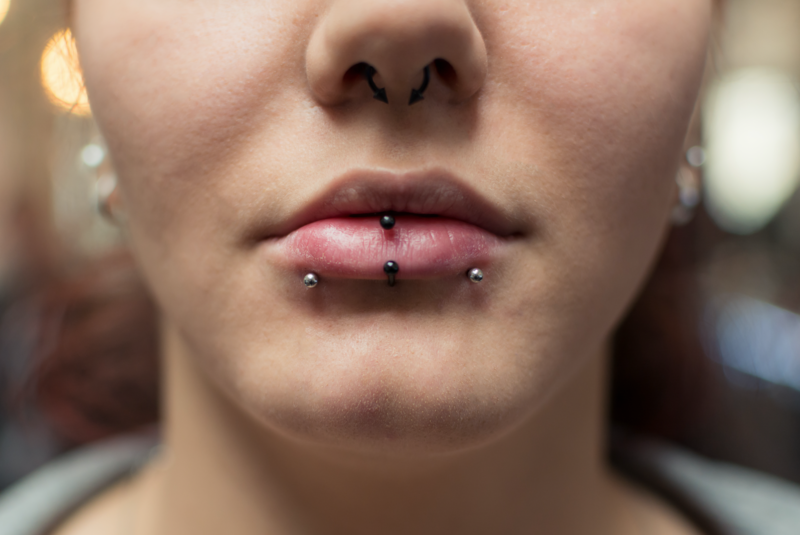 The short term side effects of lip piercing generally include localised swelling and redness around the area of the piercing which can be alleviated by very simple after-care as well as taking Ibuprofen several times a day for two to three days. Aftercare for lip piercing is relatively easy but does involve two separate procedures, the first of which for the outside of the piercing involvers nothing more than a mild saline solution applied with a cotton bud once in the morning and once in the evening, paying special attention to clean and dry organic matter from the jewellery itself. The second part of aftercare for lip piercings is a simple quick rinse with a non-alcoholic based mouthwash both morning and evening as well as after meals. The inclusion of seal-salt mouth rinse once or twice a day can also expedite the overall healing time considerably. Always be sure to only clean your piercing after thoroughly washing your hands. The overall healing time for lip piercings is generally between six and eight weeks.